This exciting true story is enriched with primary sources, photographs, extensive notes, and recommendations for further reading. 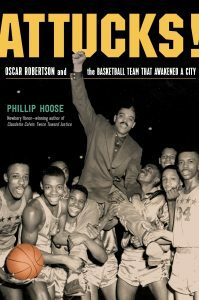 At only 224 pages, this title will be a favorite for sports fans and history buffs alike. From the knees up, Jessica Long looks like any typical blonde, but don’t let the sunny smile fool you. This young lady is tough. 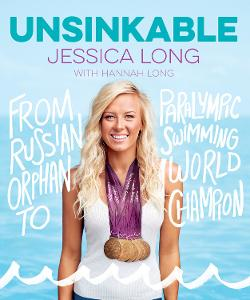 From her adoption, to her double amputation as a toddler, to her competitive drive to win, Unsinkable tells Jessica’s story in her own words. Jessica is a fascinating and engaging figure. Full color photos and interesting sidebars make memoir accessible. Though the chapters and book are short, Jessica never dumbs down her vocabulary. Her no-nonsense approach to her life and her struggles are inspirational. 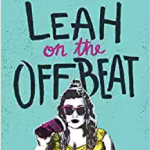 This memoir is reminiscent of Bethany Hamilton’s memoir, Soul Surfer. Readers who enjoy similar stories of overcoming adversity will also appreciate Kelly Bingham’s free verse novel Shark Girl. 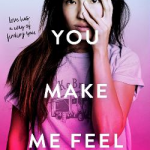 Stanford Yu and his mom work as cleaning staff at Sky Corps Academy, an elite school that trains teens to partner with giant alien robots, or Robos, to defend Earth against the evil alien Sharg. When only two Robos arrive for the latest pairing, everyone is confused. Stanford finds the third Robo, damaged from re-entry, and becomes its partner, much to the dismay of ultra-competitive Cadet Park. But the Sharg are mounting another attack, and Earth will need everyone to fight. 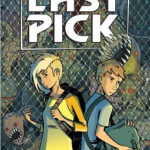 Volume Two picks up immediately after the first epic battle. Sharg eggs hatch as the first wave of Earth’s conquest begins, and the cadets face a threat from the very people who are supposed to be protecting the planet. 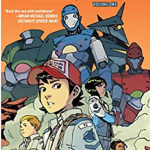 Mech Cadet Yu is a fast-paced, action-packed adventure story. It is also a hero’s quest and a Chosen One narrative. Stanford is a likable, relatable hero, and his mom provides both humor, heartfelt emotion, and a reminder that parents shouldn’t be discounted as rebels and fighters. The desert color palette is beautiful, but the real draw is all of the fighting between giant space robots and equally giant arachnoid aliens. Fans of any mech/mecha stories, like Mobile Suit Gundam or Pacific Rim, will love this manga-influenced tale. Teens who enjoyed the original Transformers or The Iron Giant will also enjoy the story of a boy and his bot. 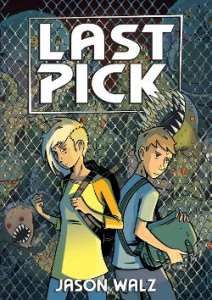 It’s an alien eat alien world in this dystopian graphic novel created by Jason Walz. Aliens have invaded the earth and are removing anyone between the ages of 16 – 60 who might be useful. 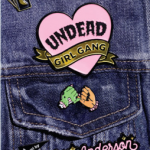 Sixteen-year-old twins Sam and Wyatt are rallying the “rejects” to start a revolution and save the people they love. Blue-hued flashback scenes provide needed background for the plot, while muted full color panels present a story of people who are discounted because of age or exceptionality. Ruthlessness–even among the ruling aliens–is contrasted with compassion and bullying is confronted by courage. Young adults who are either on the autism spectrum or who have exceptional siblings will appreciate Walz’s treatment of Wyatt’s challenges which are eclipsed by his gifts. 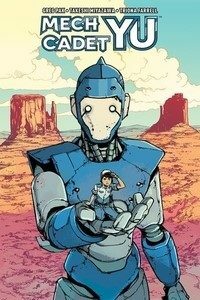 Fans of Scott Westerfeld’s Spill Zone or Greg Pak’s Mech Cadet Yu will appreciate this story.